One of the more exciting things in mission work is seeing young men and women grow up to be leaders and shepherds of the people of God. However, it’s bitter-sweet: we’re excited to see the Gospel going forward, and at the same time, we’re reminded of the dire need for solid teaching and training for the leaders themselves! This year, our 2015 Congo Bible Camp was held during Easter instead of during the usual summer vacation. This enabled us to reach attendees who had never had the opportunity to come to our conference in the past. Our focus of study for the week was the book of 1 Peter and the suffering we endure as we await our imperishable glory. Praise God that the teaching was well received, motivating the attendees to be faithful in the face of earthly hardships. We were happy to welcome back Yves Besso and Aaron Kuglin to help with the teaching. Aaron was joined by his wife Kristi and their 6 month old daughter. We were also grateful to have Josh Bonjour with us. He is the pastor of New Life Deaf Fellowship, a church for the deaf right here in Fort Worth, Texas! We’re grateful that the Lord has brought together CMD and New Life Deaf Fellowship, and are praying that our collaboration will be a long-term endeavor. At next year’s conference, we’ll be tackling 2 Peter and taking a stern look at false doctrine. Prosperity gospel thinking, in particular, is growing like wildfire all over Africa, and the deaf are not exempt from the temptations of material wealth. Over the past year, we’ve seen a number of deaf leaders in various cities embrace and begin to teach it, doing great damage by confusing the flock. Pray for us that God will give us wisdom to meet this issue head-on. Pray that we will faithfully present the truth of Scriptures and that the attendees will learn the necessity for rigorously examining each and every new doctrine that comes along – and firmly reject those preaching these false doctrines. Chance Bakunzi studied at our school in Goma and now serves as the director of a new school in Rutshuru, about an hour north of Goma. With the assistance of Jimmy Ntaumenya, they operate a school of about 30 deaf students. The region is a hotbed of violence and guerrilla activity from the dissident group “M23”. One of Chance’s frequent requests is for sponsorship to go to a Bible school. He is frustrated at the lack of easy-to-read Bible material that delves into deep doctrine. Invariably, the doctrinal material he gets is both simple to read and simplistic in its doctrine – and much of it comes from dubious sources. Next time I’m in his region, I’ll bring more books on systematic theology. They’re hard for him to read, but he’s promised he’ll spend the energy necessary to read and comprehend it all. No trivial task! 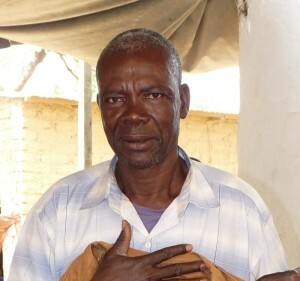 Shukuru Hertier studied at our school in Uvira, and, with the oversight of Pililo Amani (the director of our school in Uvira), he now heads up a school in the city of Fizi, about two hours south of his home town of Uvira. About 25 deaf students are enrolled in his school. The parents of the deaf children would rather spend their hard-earned money on their hearing children, and are reluctant to spend any money on their deaf children. Shukuru and his co-worker have no financial sponsors or income, and live day-to-day by the mercies of God. Jean Pajo studied at our school in Bukavu. With the assistance of former schoolmates, he started a school in Kavumu, about an hour northwest of Bukavu.A prominent city leader in Kavumu was interested in his work and now serves on the school’s board. We had the privilege of visiting his school and were stunned on multiple levels. Incredibly, he had leased a building on the main street, purchased three sewing machines for vocational training, purchased a laptop for school administration, and pays a meager salary to his co-workers – all out of his own pocket! Impressive work for a 25-year old deaf man! Although school was out of session when we visited, we were fortunate enough to come across one of his students, a 17-year old who never received any kind of formal education till this year. The young man was overjoyed to see foreigners interested in his education. When he greeted us, he gestured “I don’t know sign-language,” but it was obvious to see that he was learning how to communicate – and it was just a matter of time till Jean’s training would get him to understand abstracts like “God”, “Jesus”, “sin”, and “salvation”. All three of these men (and there are more like them) are in challenging situations, living day-to-day with uncertainty about the future. They want to do so much more, but lack school supplies, funds and most of all, thorough Biblical grounding. Pray that these young men would remin rooted, grow in their wisdom, keeping a close watch on themselves and their teaching (1 Tim 4:16), and desire above all else to see Christ glorified in their service for Him. We mourn the loss of Brother Madjibe Taigone. He was one of several young men trained by Dr. Foster in Nigeria in 1986, and has faithfully shepherded the deaf in Chad for these past 30 years. He passed away after undergoing bladder surgery in the first week of June. Pray for his wife and nine children. We had a bit of a health scare last month. Mother Berta was rushed to the hospital with stroke-like symptoms. Thankfully, it was a false alarm, and she is now resting well with my sister Faith. 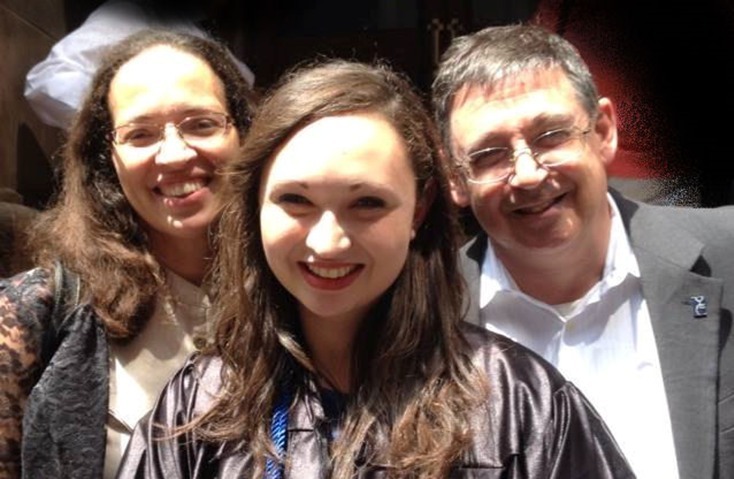 Continue to pray for Faith and her family as they extend loving care to our mother. Although it’s still a year out, plans are underway for the 55th anniversary next December. It’s hard to believe that it was in 1960 that my father, Dr. Andrew Foster, opened the first of several schools for the deaf in Nigeria. From those few schools and churches for the deaf, literally tens of thousands of deaf Nigerians have not only gained an education, but more importantly, have had their spiritual ears opened and learned to call on the name of Jesus Christ! We praise God that He has seen fit to use CMD to bring so many Nigerians into His fold. In the past two decades, we’ve seen explosive growth in church-planting. From the two deaf churches planted in Lagos and Nigeria, the deaf leaders have struck out on their own, expanding the network of CMD churches. At this time, there are over 25 self-sustaining churches for the deaf across the country, and plenty of opportunities for planting even more churches. The enthusiasm and sacrificial collaboration we’ve witnessed among the Nigerians is a model that we would love to see in other countries. Pray for us as we work to replicate this kind of growth. Along with the growth in church planting comes the dire need for leadership training. A few of the deaf leaders have completed university-level Bible study programs, but the need surpasses the supply. The greatest hindrance today is the lack of scholarships, as many of the deaf cannot afford to attend university or Bible college. Pray that God will supply this need, and that many well-qualified leaders will rise to the challenge of shepherding His sheep. Construction of the new campus continues as funds allow. The first of the dormitories is near completion, and several classrooms and multi-purpose buildings are well underway. There is still much that remains to be done, and we’re anxiously looking forward to God providing the means for construction to continue. Director Yves Beosso reports that electricity is now available in Walia, the village on the outskirts of N’Djamena. Till now, our school’s only source of power has been generators – an expensive option. Having electricity as a utility service will be a huge blessing. Over the past few weeks, faithful friends of CMD have done special fund-raising to help cover the $500 utility fee to bring electricity to our school. 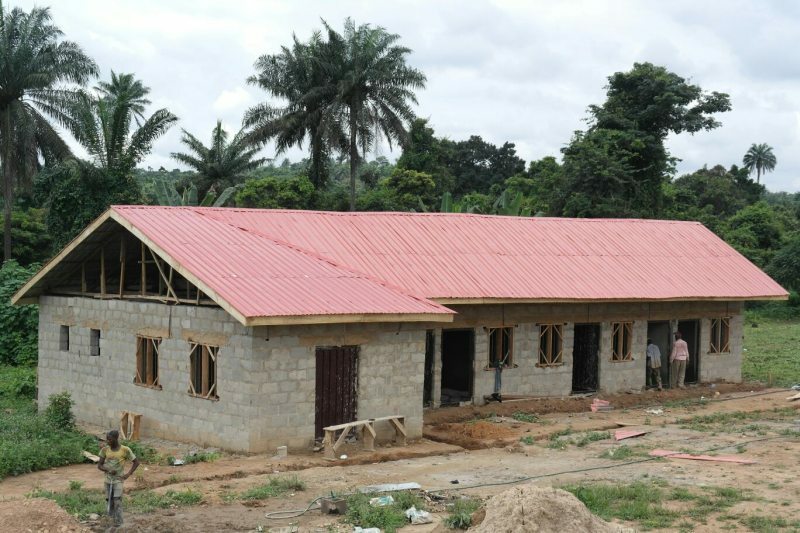 We’re praying that the school will be online before the end of the year. Earlier this summer, Yves received an invitation from Deaf Ministries International (DMI) to give a lecture at their annual international conference held in Seol, Korea. We thank the Lord for allowing him to share with an international audience, and pray that DMI will be a vehicle through which Yves’ insights will be spread to other deaf ministries around the world. Our summer conference in Bukavu was a heart-warming success, and we thank you for your prayers! We’re thankful that attendance was a little higher than usual, but what really fired our zeal was the strong response to the teaching material. This year’s topic was the Supremacy of Christ, and we taught from the book of Colossians. I was a little concerned that the first couple of chapters would be too thick on theology, and not readily received. To my pleasant surprise, not only did they grasp the complexities we taught, but they responded with many profound questions about the nature of Christ, the Trinity and the practical application of these theological truths. A large part of the teaching success is due to this year’s small group structure organized by fellow missionary Rene Lindquist. Additionally, the Lindquists were able to arrange for a short-term mission team from Michigan, USA, to help us out for a few days while they worked with other mission projects. We’re so thankful for their contribution, and so thrilled to see the Word of God bearing fruit in their lives. For our 2015 conference, we’re exploring options for meeting in the neighboring country of Burundi, at the school Dr. Foster opened in the ‘70s. Pray for wisdom as we try to attract more Rwandan and Burundi attendees. 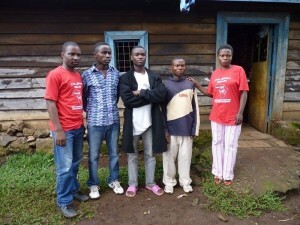 Two of our deaf young men have helped start new schools for the deaf in the cities of Rutshuru and Fizi. They are hard-pressed for finances and resources to meet the needs of the deaf. Also, many of the deaf in the region are negatively influenced by the growing influence of prosperity-gospel missionaries and preachers. Pray that the deaf will stand strong, resist the false doctrine, and lean on God alone. This December, my wife and I will be taking two of our kids to Washington DC. I’ve been asked to be the keynote speaker for a Nigerian deaf awareness conference, and will also use the time to bring our family to see some of the historical sights of DC. Pray for a safe trip and effective conference. Mother Berta is taking life one day at a time in the comfort of Faith’s home, and looking forward to her children and grand children visiting this Christmas season. It’s truly a joy to interact with deaf Africans who have a robust understanding of the word of God. Seeing them take on a leadership role and guide others in a spirit of humility and grace is truly a beautiful thing. But regrettably, it’s not a very common thing. This is our ultimate goal and passion: to prepare the deaf for spiritual leadership roles within their communities, and equip them to make disciples for our Lord and Savior, Jesus Christ. Every year, our deaf high-school students in Ibadan participate in the West African Examinations Council (WAEC) and the National Examinations Council (NECO). Students with high scores are able to proceed to universities in Nigeria and beyond. Recently, a few Nigerians have been able to enroll at SouthWest Collegiate Institute for the Deaf (SWCID) in Big Spring, Texas. As it turns out, SWCID is located about 4 hours west of our CMD headquarters in Texas! Last week, my wife and I drove there to visit the deaf Nigerians. It was a good time of fellowship and encouragement. Pray that more graduates may be able to attend SWCID in the future. Construction of the new campus steadily inches forward. We’ve received a grant for 100,000 Euros from Siegworks Construction. Praise God! 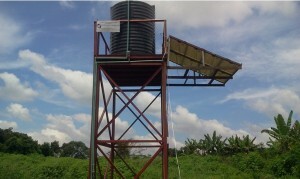 Another fantasic blessing came from a supporter who installed a solar-powered well. Having water on site will help greatly as construction continues at the new the campus. After many years of service and numerous repairs, our center’s electric generator is now in dire need of replacement. The Commissioner’s for Women’s Affairs and Social Welfare has kindly donated a 6500W generator. It’s not powerful enough to run the entire facility, but we’re thankful that it helps take a load off the aging primary generator. Over 220 people attended the 18th Annual Easter Camp for the Deaf. Most attendees had to travel to get to the city of Doba. Although the facility had a shortage of utensils and ran out of water on the 1st day, God showed His loving kindness by having local churches bring in water and utensils to meet the needs of the campers. We praise God that 19 people made a commitment to follow Christ. Pray that they will continue in discipleship. When some village officials heard about the camp, they brought in 50 deaf people from outlying villages in the region. These deaf villagers had never received a formal education, and were stunned to see so many people, deaf like themselves, yet with advanced education and the ability to read, write and communicate about things they read in a Book. Pray that these deaf villagers will be able to attend a proper deaf school and learn to read, write – and hear the Gospel of Jesus Christ! As in Nigeria, our Chad school has recently received financial support from some unlikely sources. The US Embassy visited our school in the capital city of N’Djamena one week before the Easter camp, and promised to help with the reconstruction of some deteriorated buildings. Most of the buildings at our center are made of mud-brick (as are most buildings in that part of town). The embassy delegates want to replace four of the deteriorated mud buildings with concrete buildings. 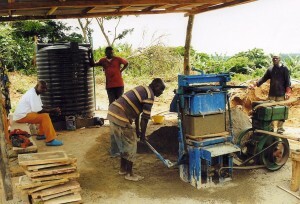 Pray that they will follow through on their commitment when construction gets underway this August. While the embassy will be carrying the majority of the costs, we still need to raise several thousand dollars to complete the projects. Pray with us that the Lord will provide. Staffing at our annual Congo Bible Conference will be interesting this year: A team of 15 people from Michigan – most of whom have never been to Africa – will be traveling in the Kivu region (eastern DR Congo) to help with two hearing conferences, as well as our deaf conference in Bukavu. There is also a possibility that a deaf American from Colorado will join our team. This year, we’re going through the book of Colossians, and placing more emphasis on small-group discussions to help the deaf assimilate the material we’ll be teaching. We want to capitalize on the additional help by increasing our budget so more deaf Congolese can afford to come. Pray that the Lord will provide mightily, as local transportation is the largest line-item in our conference budget. 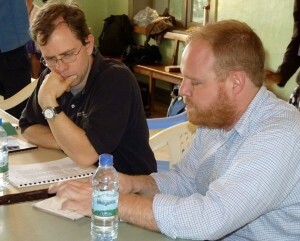 Pray also for the Michigan team: Traveling in the DR Congo is not exactly safe, and certainly not for the faint of heart. Our school in Uvira has had some changes in staffing. Director Pililo Amani has added a young deaf high-schooler as a teacher for the primary classes, and so far, he’s doing well. They still have a need for sewing machines to teach tailoring and to make uniforms. Pray that God will meet this need. Our school in Likasi, led by Director Mwamba Pascal, has a pressing need for a computer. We have several laptops on hand that I will be brining to the DR Congo this summer, but because our Likasi school is so remote, it’s far cheaper for our director to travel several hours south to Zambia and buy a computer there. Our missionary friend in Likasi, Ruth Willenbrecht, has helped locate a good deal. Pray that God will meet this need. Mother Berta is staying with us this week while my sister, Faith, is in New York to attend the graduation of her oldest daughter. Alessandra is the first of the Foster grandchildren to graduate from college. Following hot on her heels is our oldest daughter [name withheld]. Lord willing, she will be going overseas next year to work full-time with an evangelical ministry doing outreach to Muslims. Pray for these two as they strike out on their own, that God will continue to bless them and keep them and make His face to shine upon them, and give them peace.